Gauges - .028 .032 .036 .028 .035 .044. 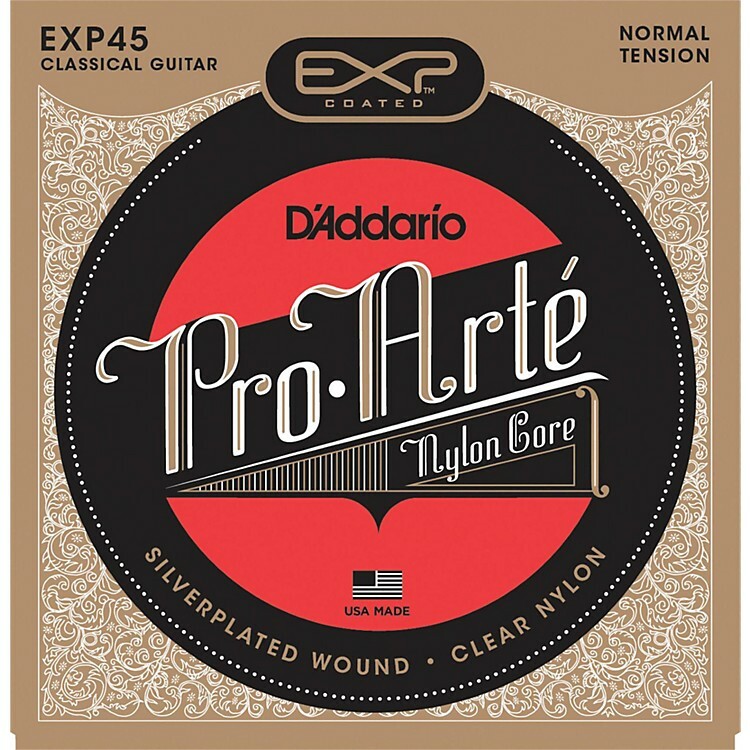 D'Addario EXP45C Coated Classical Guitar Strings provide longer life and increased durability coupled with the brightness, the clarity and sensitivity you've come to expect from D'Addario strings. Here is how they work: An ultrafine layer of EXP coating is bonded to the phosphor bronze wrap wire which is then wound onto the hex-shaped core wire. The result is a built-in barrier against the corrosion and wear that can quickly sap the life out of your strings and your sound. And since the EXP coating is cross-linked to the wrap wire prior to winding, the strings sound fresh and bright. New-string tone lasts 3 to 4 times longer than traditional guitar strings.